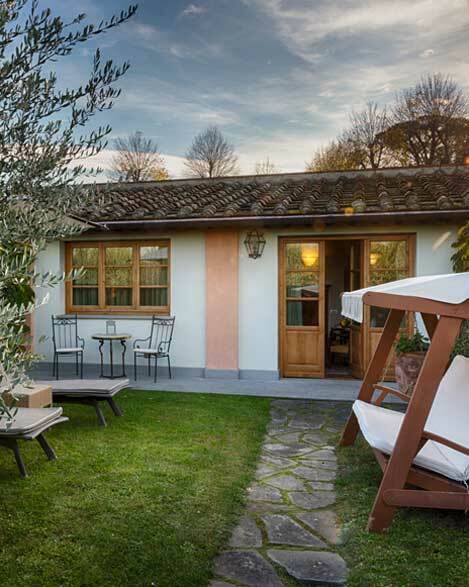 Typical Tuscan style, exposed beams and terracotta flooring. 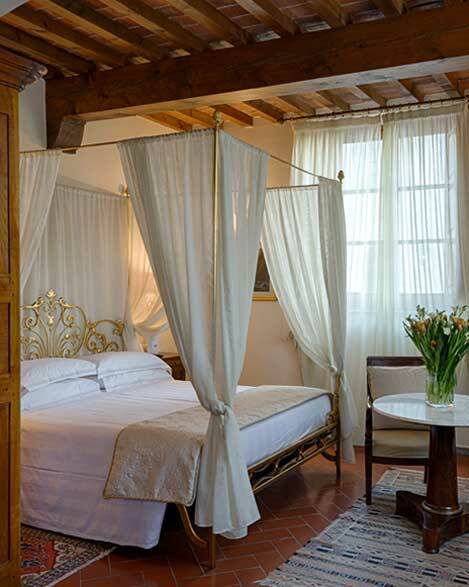 These are some of the features that characterize the rooms in the farmhouse (Fattoria) and the country house (Colonica). 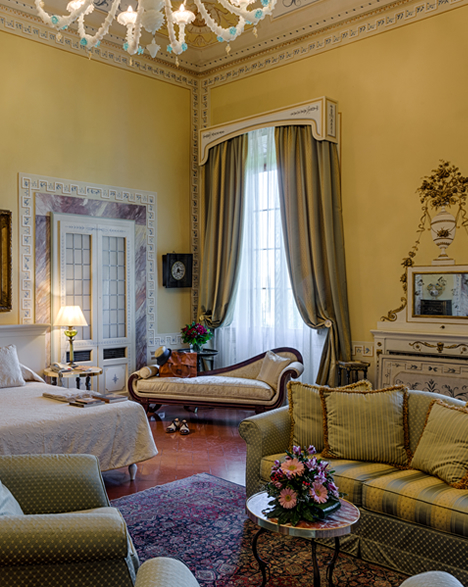 In each unit, visitors can perceive the careful research into the typical materials of our area, and the restoration of ancient furniture that recounts the history of this ancient residence. 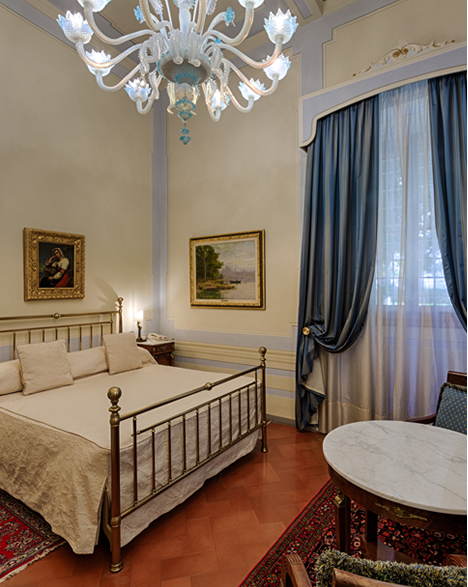 In the historic Villa, with 18th century frescoes and stucco work brought to light by the restoration, illuminated by Murano glass chandeliers, there are 12 rooms, each unique. 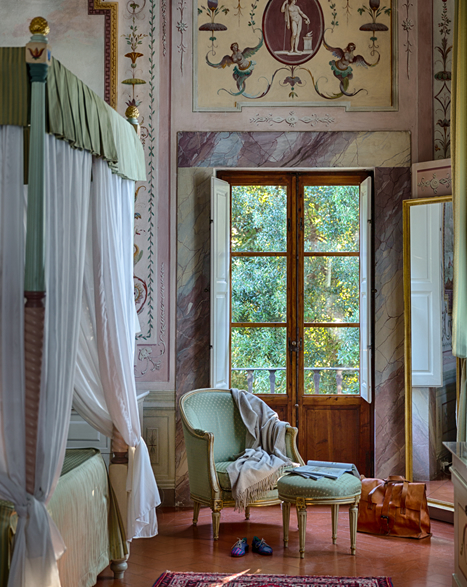 The Deluxe, Junior Suite and Suite make up the offer of the Villa where, each time a visitor opens a door, they encounter magical scenery, full of history, with attention to detail and intimate hospitality. 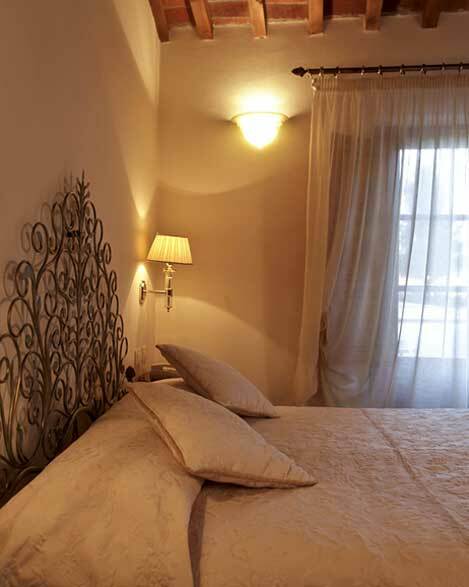 The uniqueness of these rooms, each one different from the other, makes it perfect for a romantic and special stay.